An engineer turned ''industrial architect,'' Serge Durand was instrumental in the construction of Laser MegaJoule, the inertial fusion facility being established near Bordeaux. The French Légion d'Honneur is the most prestigious of all French decorations. It was established in 1802 by Napoléon Bonaparte, then First Consul of the young French Republic, to reward citizens who have provided distinguished service to the Nation. 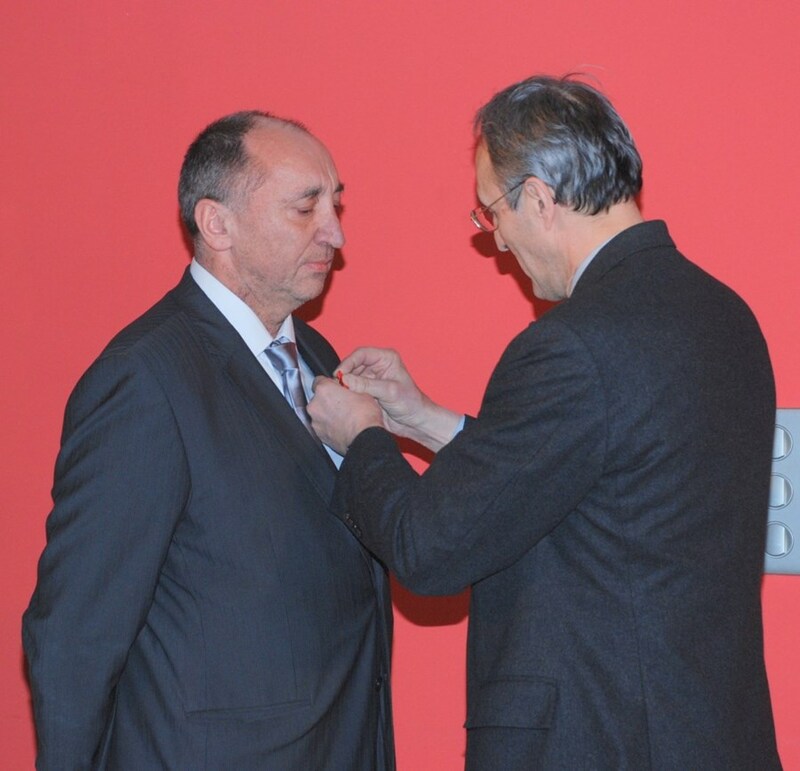 Last Friday 12 March at La Fenière, the prestigious "Red Ribbon" was awarded to CEA-Cadarache Director Serge Durand in recognition of his achievements during his 34-year career in the nuclear world, both civilian and military. An engineer turned "industrial architect," Serge Durand played a key role in the development of France's nuclear deterrent and was instrumental in the construction of Laser MegaJoule, the inertial fusion facility being established near Bordeaux. He has been heading CEA-Cadarache since 2006. "You are a man of courage, faith and action," said CEA Administrator General Bernard Bigot as he pinned the medal to the new chevalier's lapel, "the kind of man this country needs."